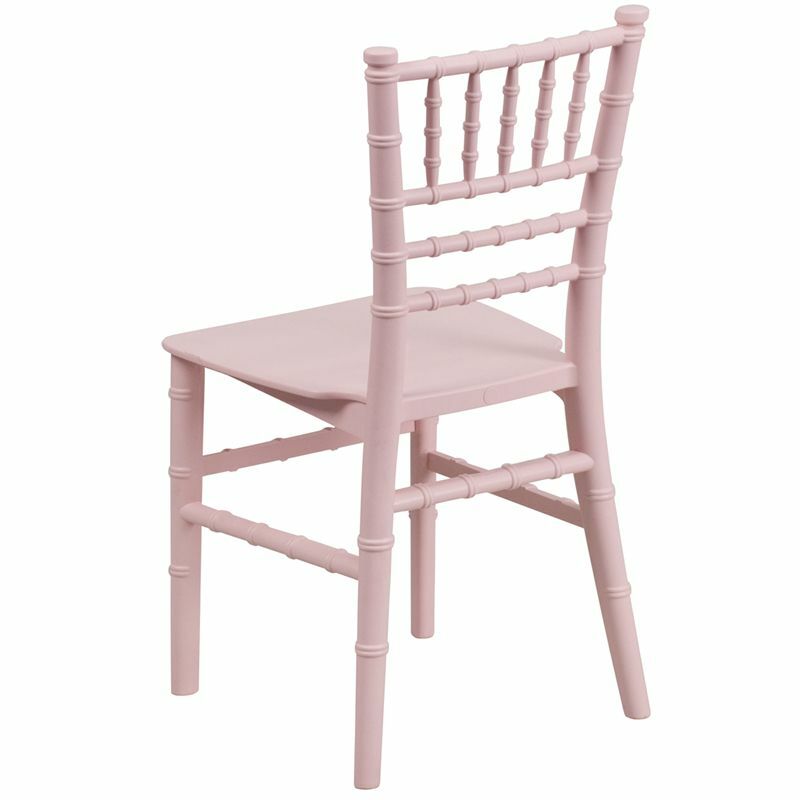 The elegantly designed Kids Pink Resin Chiavari Chair is a delightful option to make kids feel like VIPs at your special events. 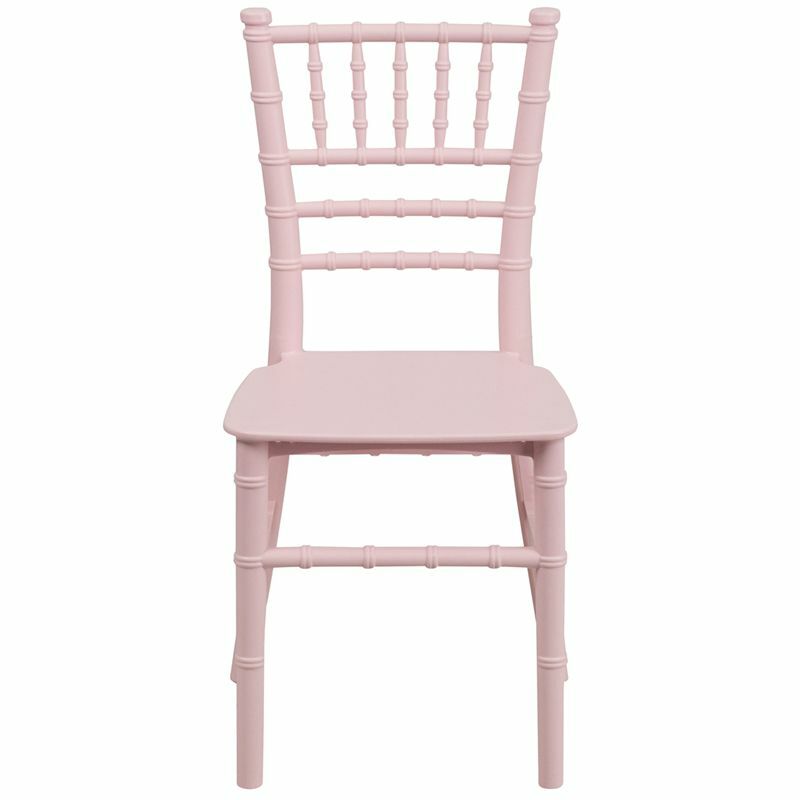 These mini versions will fit right in with the classic adult-sized chairs. With a frame made from ultra-strong resin, this lightweight chair can hold up to 330 pounds. 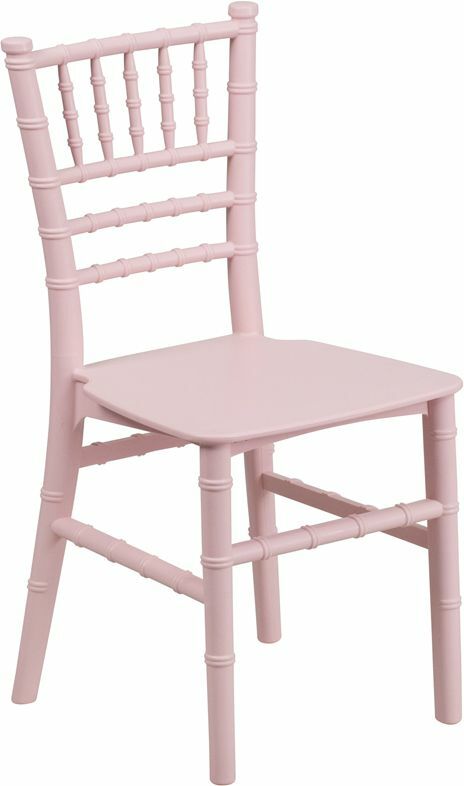 It features a one-piece frame, with wobble free, polypropylene construction. 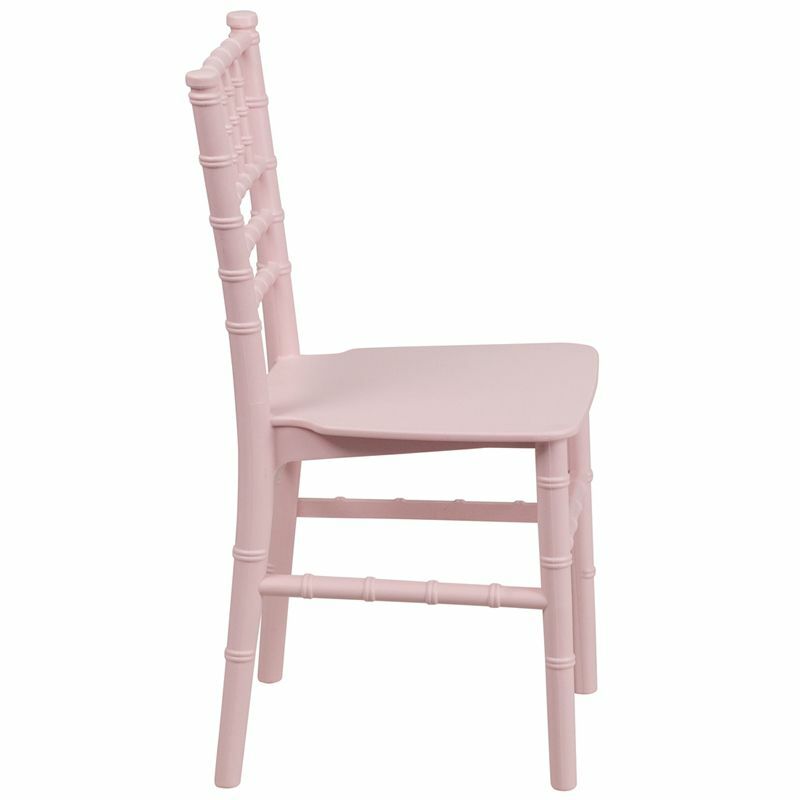 They're stackable up to 10 chairs high to transport and store and ship to you fully assembled.